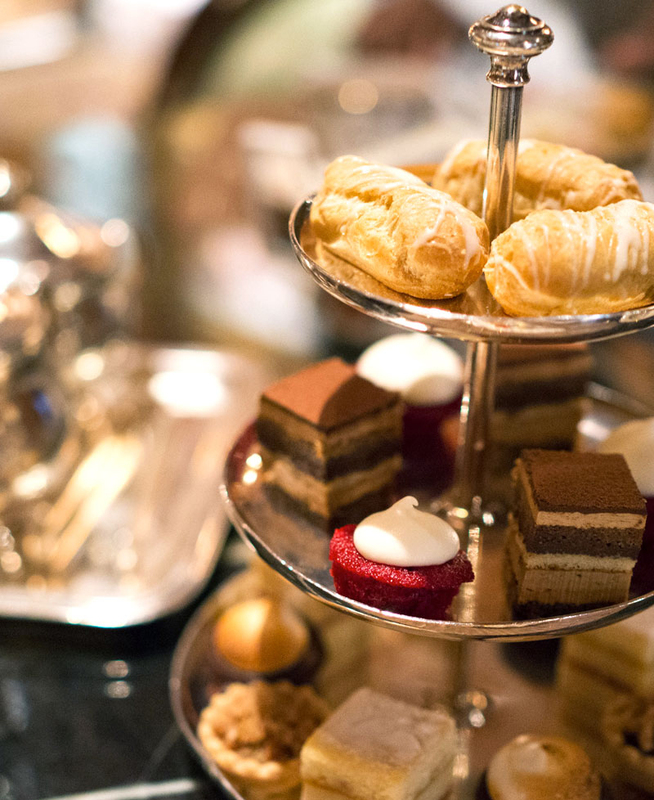 A list of every single afternoon tea in New York City. Find reviews and ratings by setting, service, tea, and most importantly, the food. 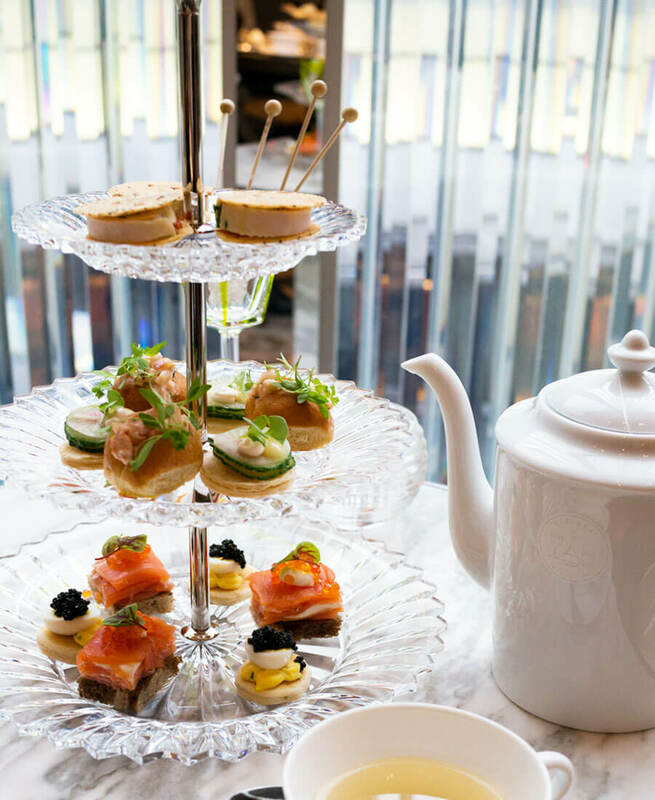 Baccarat Hotel is offering the best and my favorite afternoon tea in New York City right now. With a unique selection of afternoon teas from the classic to the Turkish Tea, they’re doing everything right. 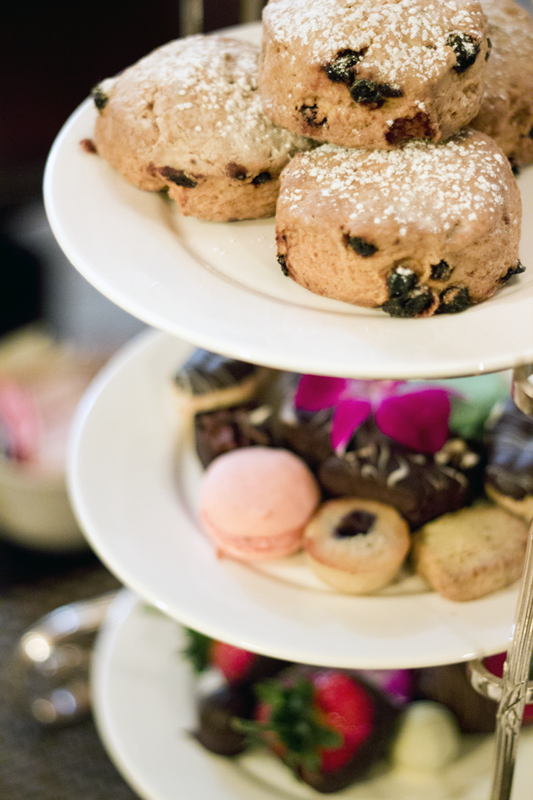 A hidden gem, the Pembroke Room inside The Lowell Hotel offers a solid afternoon tea service. Perfect for those leisurely afternoons sipping tea in a quiet and demure setting for a couple of hours with a good friend and good conversation. A posh setting for afternoon tea in the heart of Midtown Manhattan, The St. Regis New York with its gorgeous painted ceiling and plush seats make this an afternoon tea worth every penny. 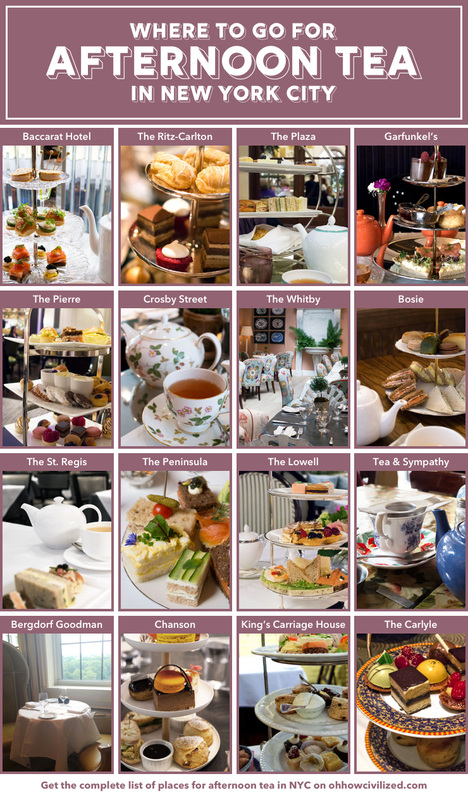 A lot of people mistaken afternoon tea for high tea when they’re not the same thing. What makes it even more confusing is when places that offer afternoon tea advertise it as high tea. High tea may sound fancy but it’s actually not at all. High tea is the working class dinner which is eaten on a high table. Afternoon tea is the fancy three course meal with mini finger foods eaten between lunch and dinner. It’s also called low tea since it was traditionally served on low tables and plush couches. 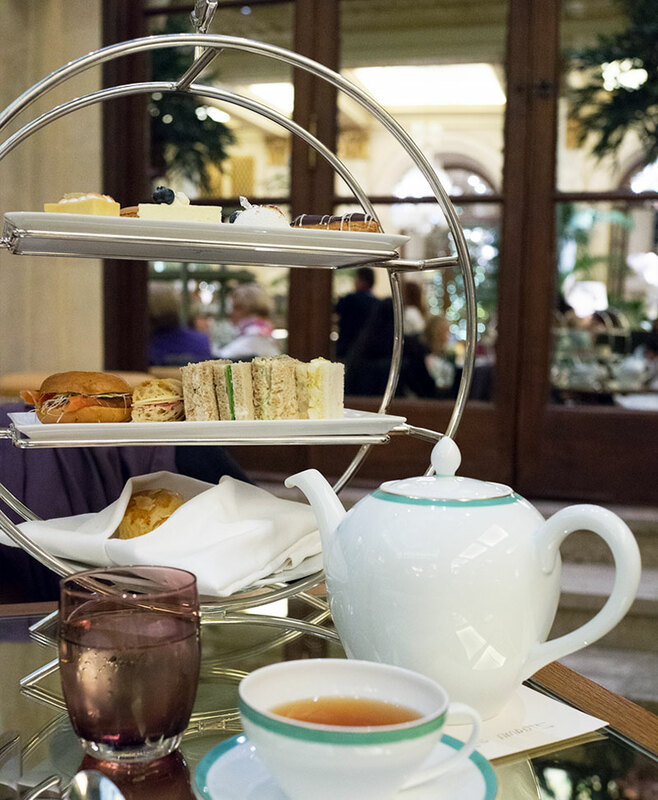 Tea at The Plaza is quintessential New York — a must if you’re an afternoon tea fan. Is it worth the money and the hype? Hmmm, that’s a whole other story. 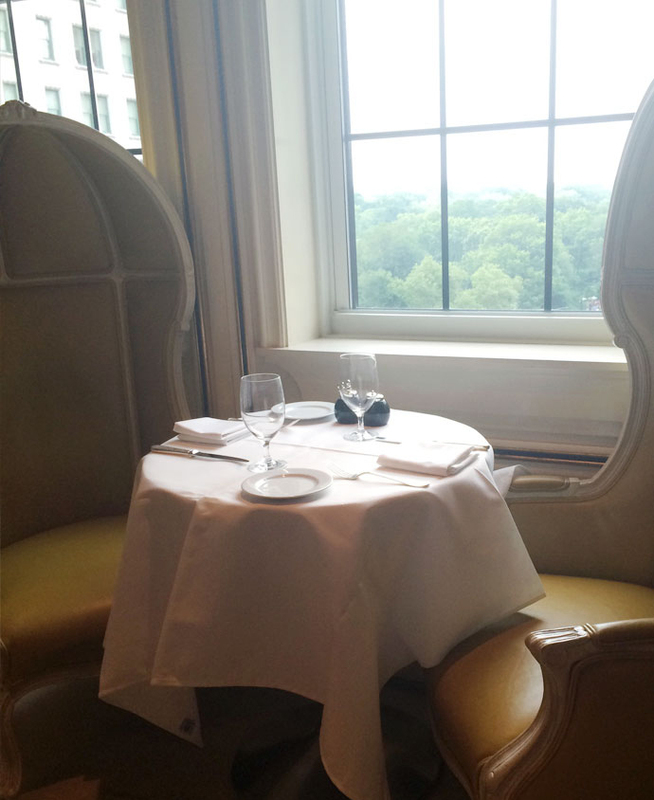 Overlooking Central Park, BG Restaurant inside the super luxury Bergdorf Goodman department store has a three course afternoon tea service at $45 per person that’s more affordable than ones offered at high-end hotels. 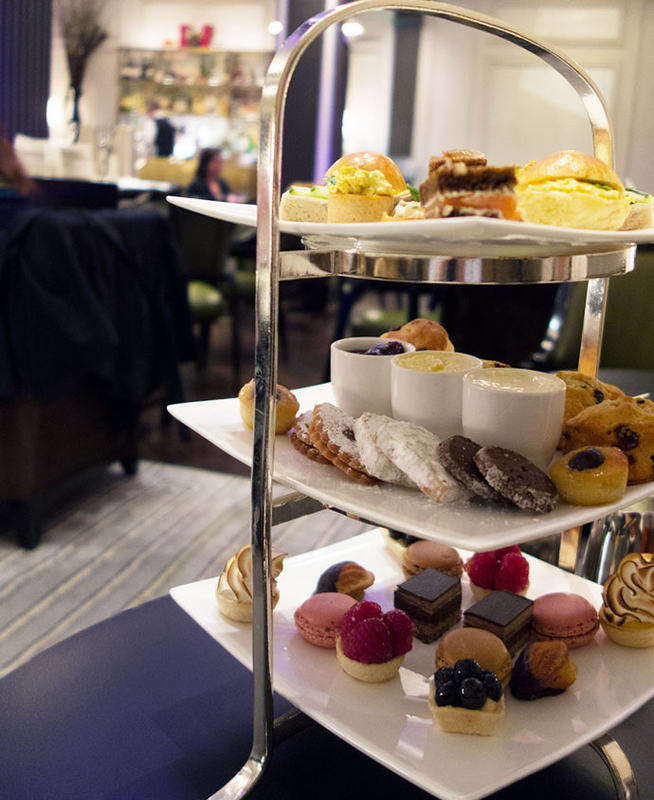 The Ritz-Carlton offers a luxe afternoon tea service right across from Central Park in their Star Lounge in the lobby. Opulent and feeling like old money, the tea service here is in my top 10 of afternoon tea services in NYC. A unique afternoon tea tucked inside a speakeasy, Garfunkel’s has afternoon tea for $40, which is a rare find. Made and served with care, this one is a new addition to the afternoon tea scene that I can recommend. Afternoon tea at Garfunkel’s is under $50 per person. 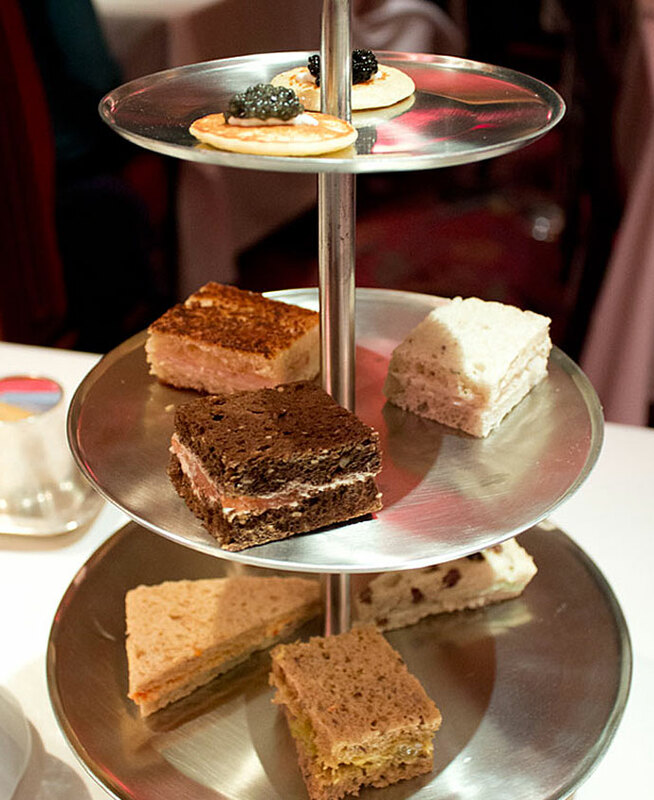 Mini EVERYTHING and served on a three-tiered tray, The Pierre does a very good afternoon tea. I also like their Tiffin Tea which is an Indian take on afternoon tea. 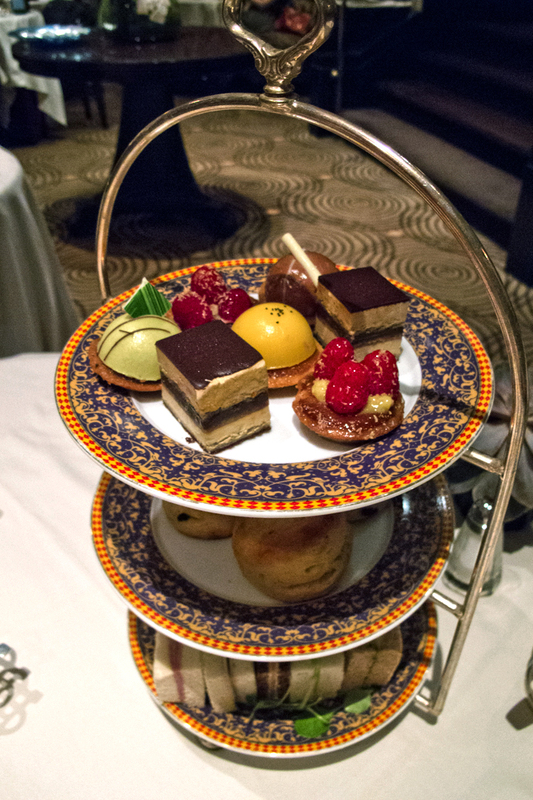 Adorable and tasty savories are a highlight at The Peninsula’s afternoon tea. A luxury hotel in Midtown Manhattan, the tea service here is a pretty solid one. Oh, the dining room at The Russian Tea Room is spectacular! The bright reds and the deep green transports you away to another place. It’s a feast for the eyes — but is the tea service? 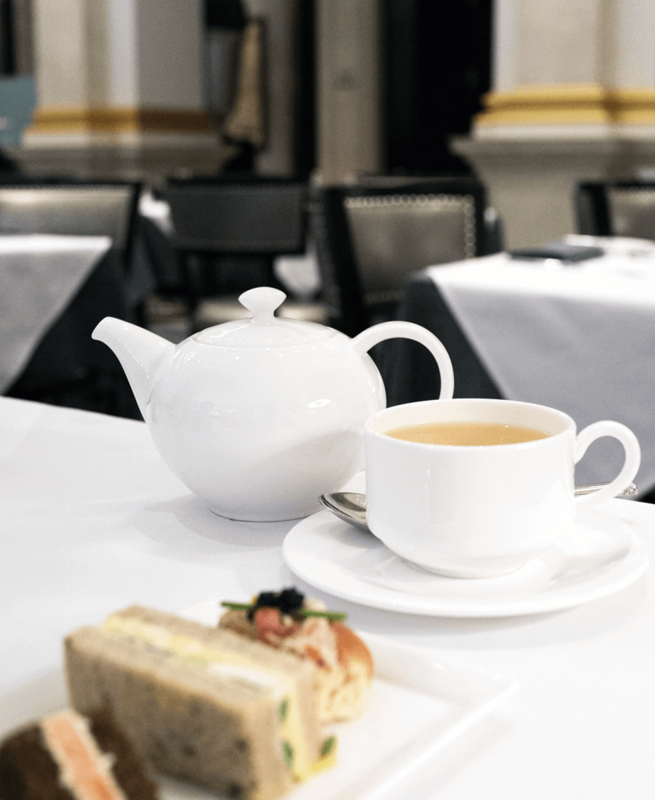 The Whitby Hotel is a sister hotel to the Crosby Street Hotel and you’ll get a very similar vibe in each of the hotel’s restaurants where afternoon tea is served. Both hotels have a very pretty setting for tea and The Whitby Hotel’s back room is especially perfect for tea. 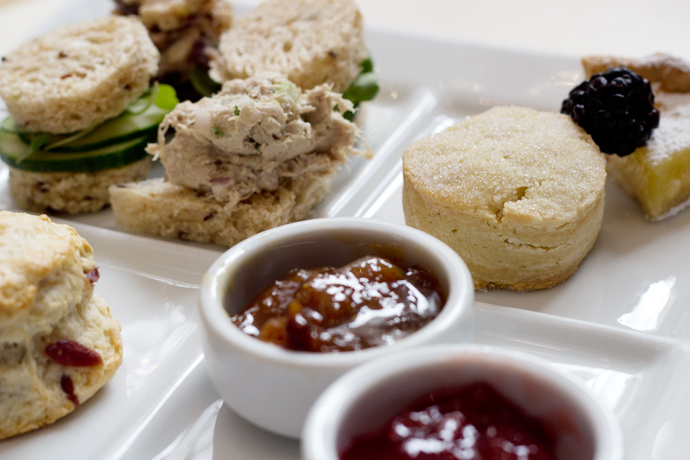 The Whitby Hotel serves afternoon tea all day and it’s under $50 per person. The Crosby Street Hotel’s Crosby Bar is very very pretty and it’s a good place for afternoon tea downtown since there are less options for tea below 14th Street. The tea service is reasonable for the price. 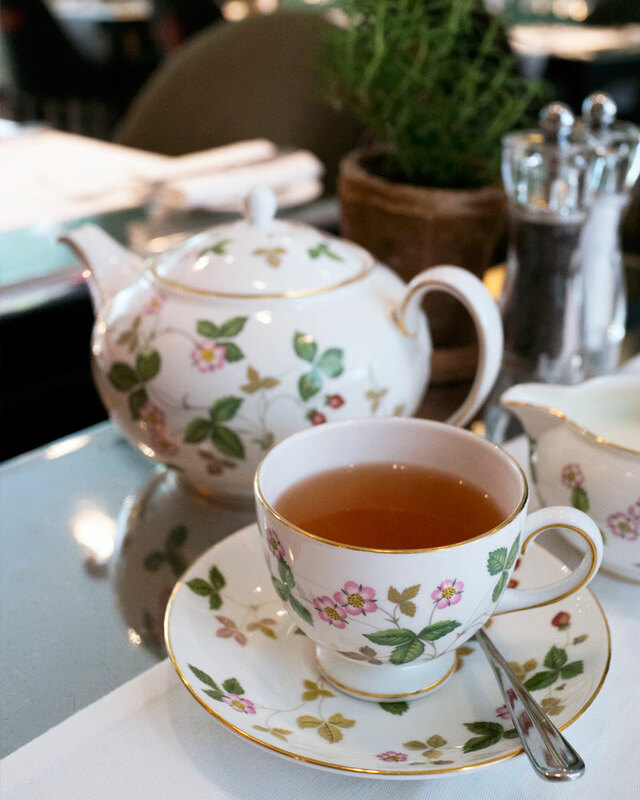 The Crosby Street Hotel serves afternoon tea all day and it’s under $50 per person. 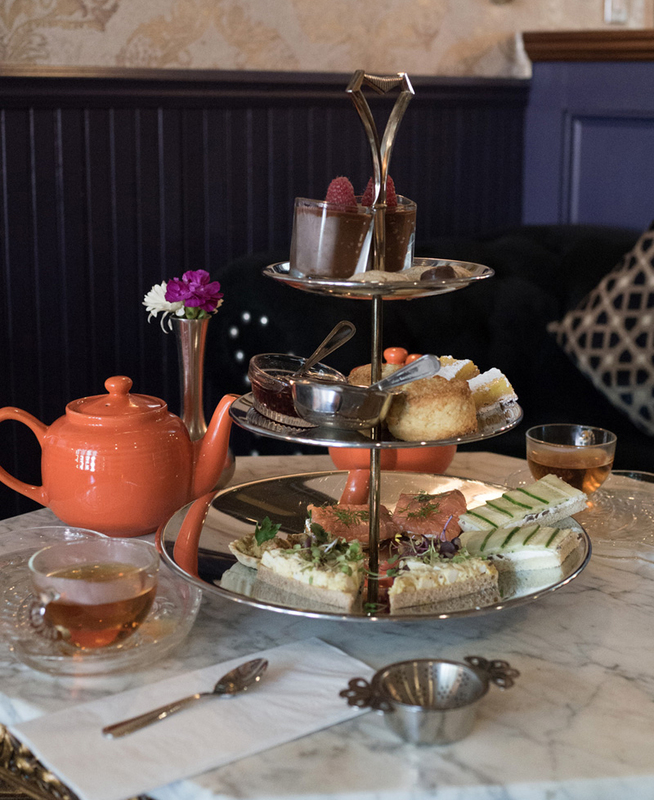 Bosie is a cute tea spot in the West Village that does a three-tiered tray of afternoon tea for a reasonable price. Very casual and great alternative for an afternoon snack. 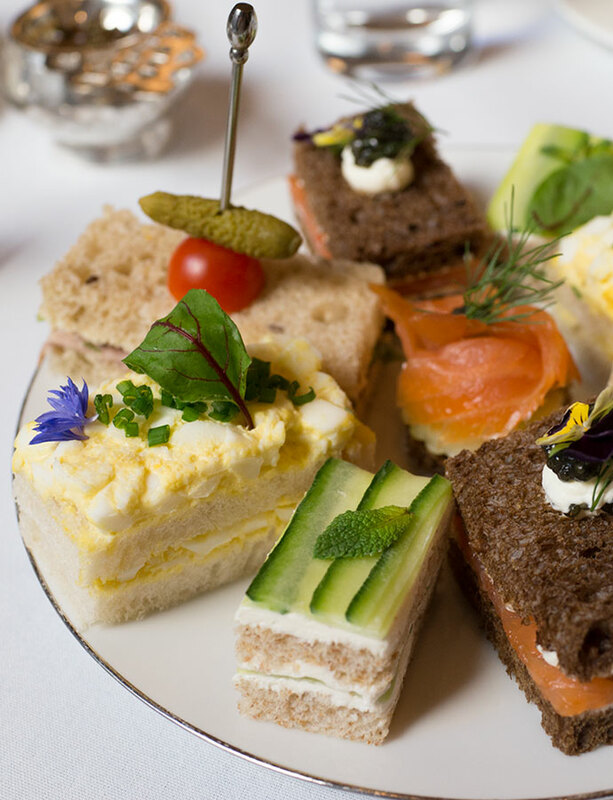 Bosie’s afternoon tea is under $50 per person. 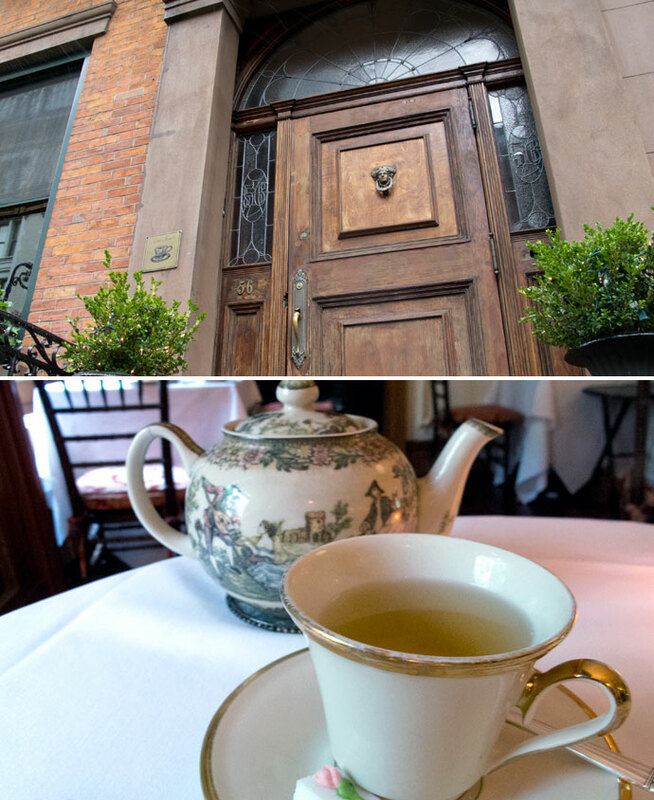 Lady Mendl’s is a quaint afternoon tea experience near Gramercy Park inside a charming brownstone. It’s like having tea with your grandmother. They do a multi-course afternoon tea instead of the usual three and they bring out each course separately so no three-tiered tray here. 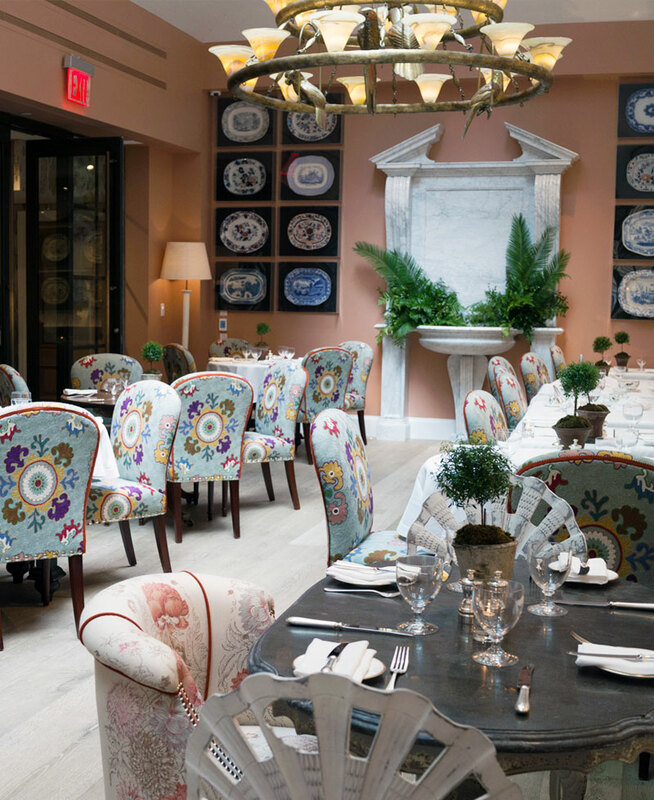 King’s Carriage House on the Upper East Side is a townhouse that has been converted to a restaurant. They do the least expensive and most affordable afternoon tea in NYC at the moment at under $30. It’s not the fanciest, but it’s good for the price. 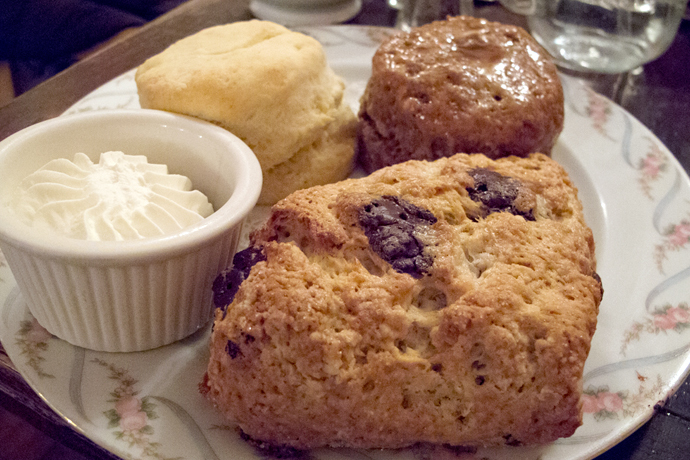 King’s Carriage House does afternoon tea for under $30 per person. 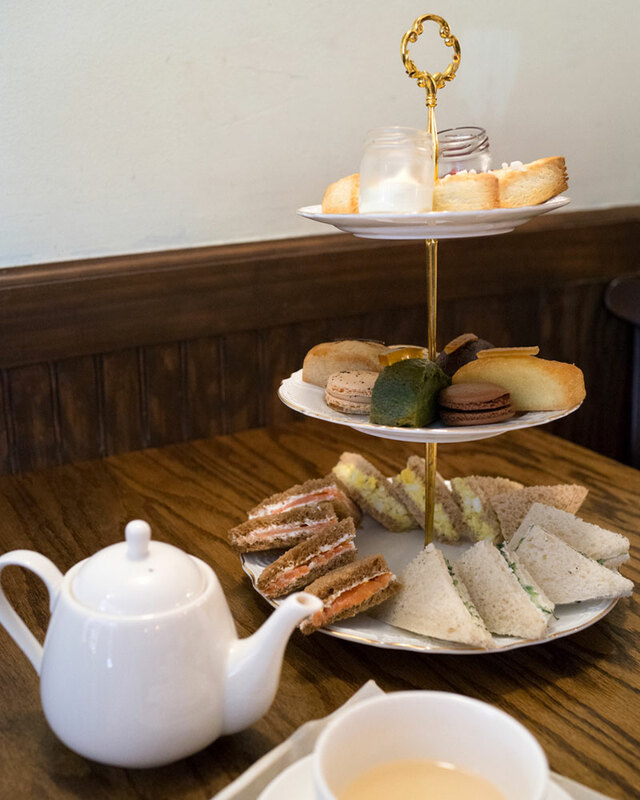 Tea & Sympathy is a casual afternoon tea inside a West Village restaurant that serves British comfort food. You won’t find any dainty finger foods but hearty bites cut into manageable pieces. Afternoon tea is under $40 per person so it’s a good price for what you get. Scones here are fantastic, by the way. 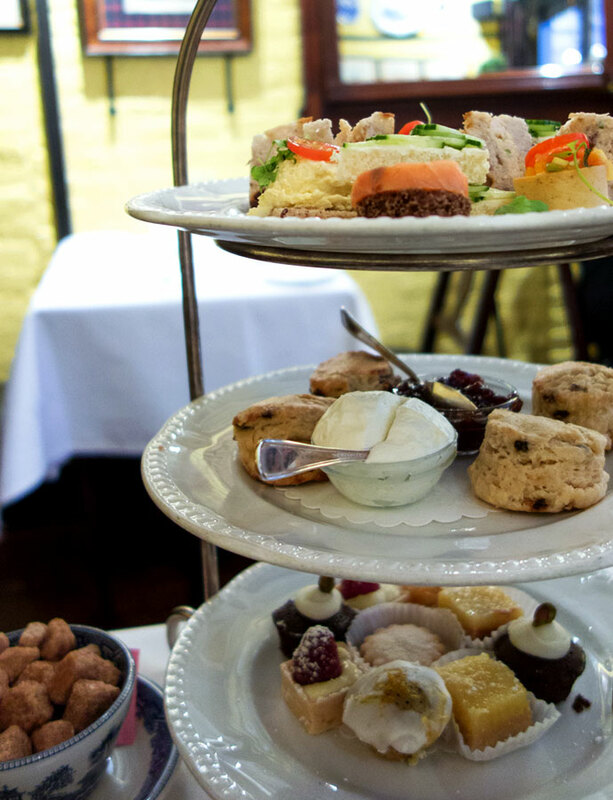 Afternoon tea at Tea & Sympathy is under $50 per person. Afternoon tea at The Morgan Library’s cafe keeps changing over the years. The very first time I went years ago, it was excellent but over the years the offering has been a little less impressive but either way, the price is reasonable and a good option when visiting the museum since it’s under $30. The Morgan does afternoon tea for $30 per person. 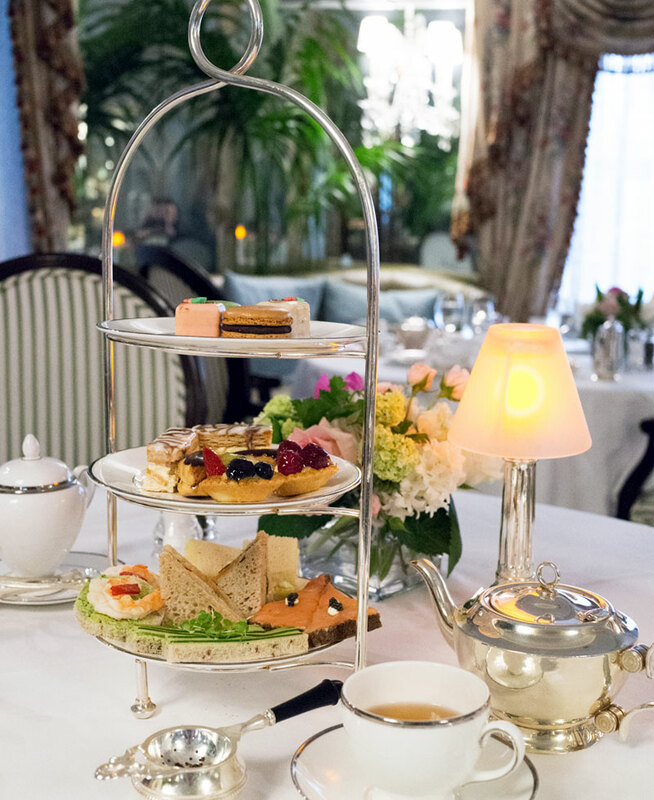 Afternoon tea is served daily at the Plaza Athénée on the Upper East Side. Three courses come out on a three-tiered tray alongside a pot of tea. Dipping into a rating of two stars, Chanson bakery in Flatiron has a wonderful selection of baked good but unfortunately the afternoon tea is a disappointment. It seems purely a money-grab and an afterthought although the presentation is adorable. 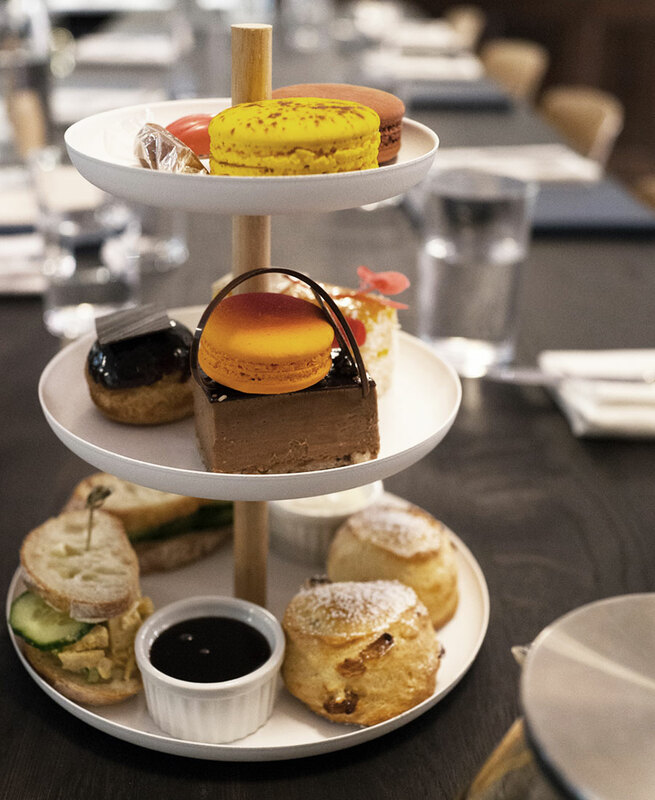 Chanson’s afternoon tea is under $30 per person. 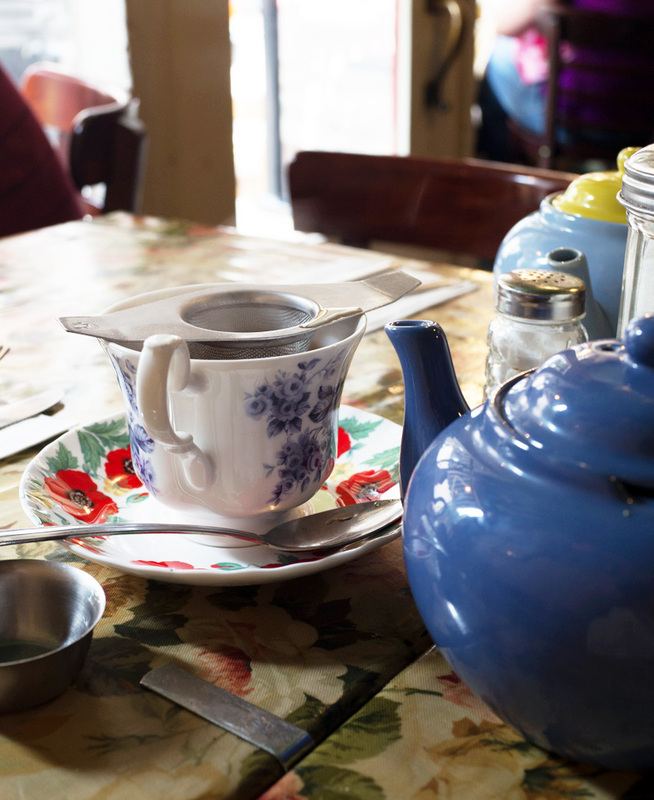 Scones the size of your head, Alice’s Tea Cup is a restaurant with a few locations that is all about tea. Kids and parents seem to love it, although it’s not my *ahem* cup of tea. Read my review of Alice’s Tea Cup. Alice’s Tea Cup serves afternoon tea for under $50 per person. I used to really like the tea at The Carlyle but they have gone down in quality over the years. The setting is still very very nice but the tea sandwiches were a huge letdown.